Surely there are as many definitions as there are people. Perhaps you picture a sleek limo, long stem red roses and the finest champagne. Or does your imagination conjure a candlelit dinner on the beach with the surf lapping at your feet? For me there are a variety of scenarios that could work, but this year my mood fancies a gentle mix of rustic with refined. I’m delighted to be hosting the Valentine’s Day edition of the Styled + Set Holiday Entertaining blog hop this week, with more than 20 of my talented blogger friends. Be sure to visit all of today’s posts, linked below. Then come back for the remaining posts shared later in the week. 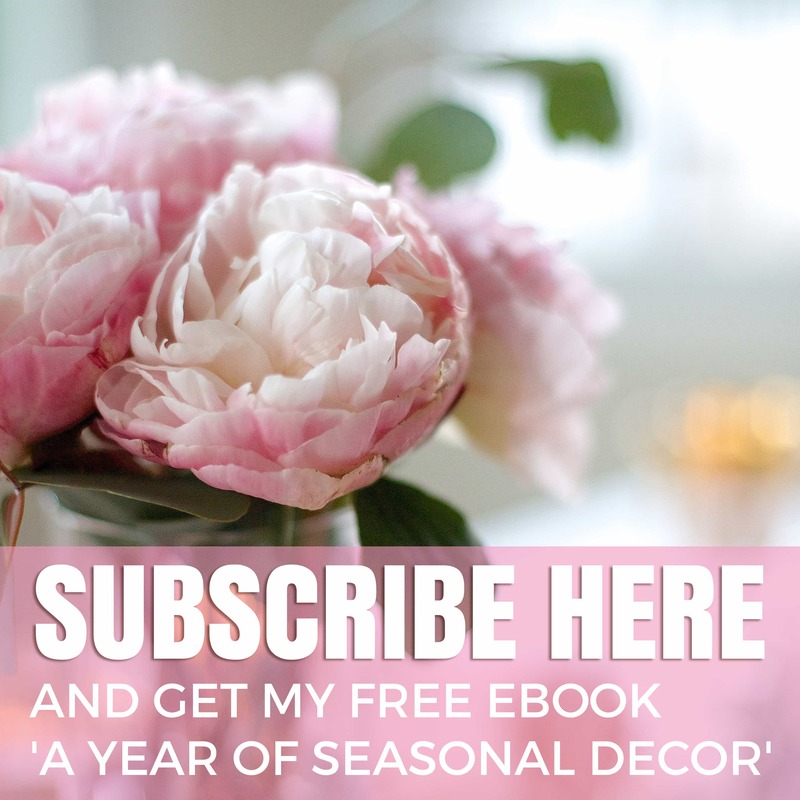 If you’re coming over from Decor Gold Designs, let me extend a special welcome. Jen has the most amazing taste and I’m sure you were wowed by her post! So how exactly am I adding rustic romance to my table? 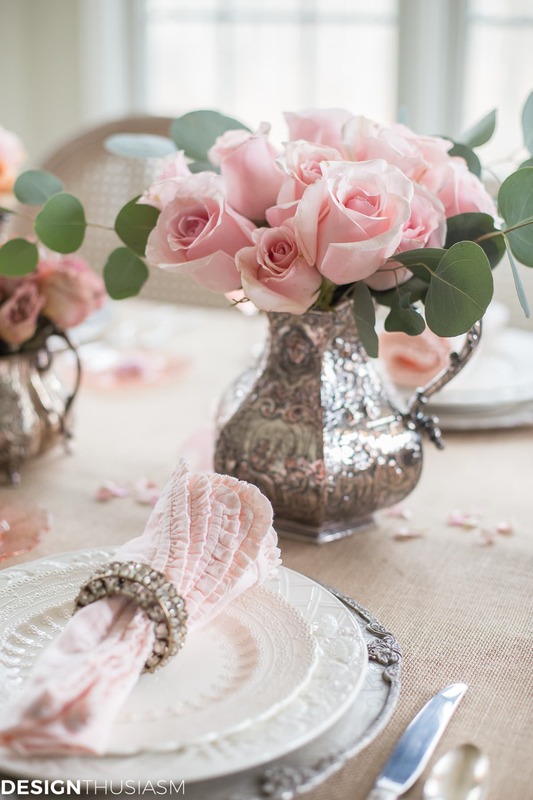 The quick answer is by balancing pale pinks and vintage silver with rugged burlap. This tablescape would have a completely different vibe if the tablecloth was white linen. 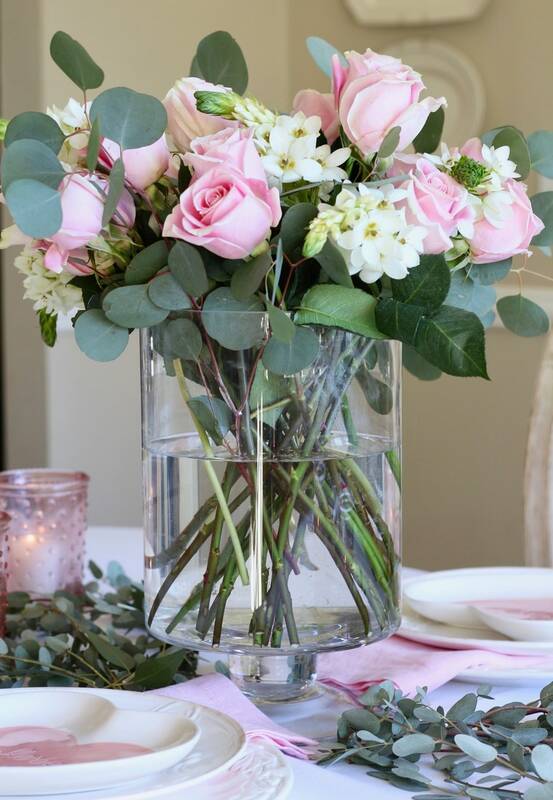 Delicate and feminine, the pinks would be at risk of becoming a bit too sweet. The underpinning of burlap, however, grounds the entire presentation and becomes the most important element on the table. 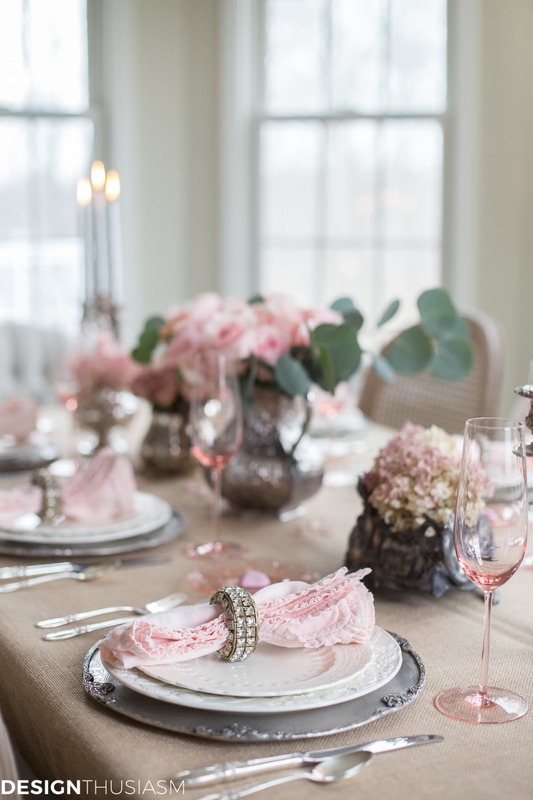 While often I start my tables with a print pattern in the plate stack, this table’s concept began with the blush and burlap mix and a generous dose of vintage silver. I love to shop my own home for items to use in my styling, and that’s exactly what I did here, prowling my rooms for silver pieces to use as floral containers. The varied patinas were, in large part, the point. As such, I chose to keep my plate stack quite simple, using texture instead of color to add interest. My favorite silver chargers set the tone for the metals on the table and next I added two different plates in a similar cream shade. I’d hoped to find a variety of blush and pink flowers but January is not the best time at the flower market, so instead I settled for these lush pink roses and delighted in how they mixed with the burlap. I was going for a very soft look and the rusticity of the burlap did wonders for toning down the pink. 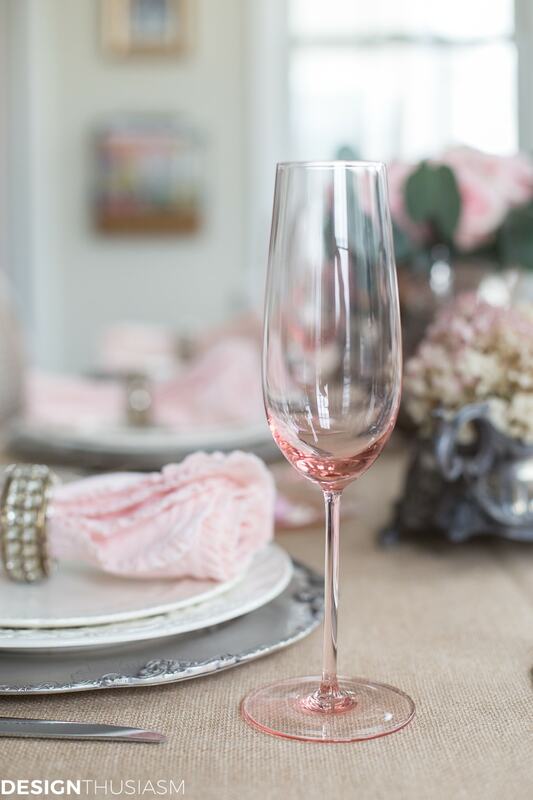 I also pulled out some of my favorite pink accents, including these lovely champagne flutes. I was going for warm and delicate with my choice of pinks, in sharp contrast to the reds and fuchsias I’ve done in the past for Valentine’s Day. You can see how entirely different my table was last year in this post! Another treasured standby that fit perfectly with this table are the linen ruffle napkins in the softest whisper of a pink. 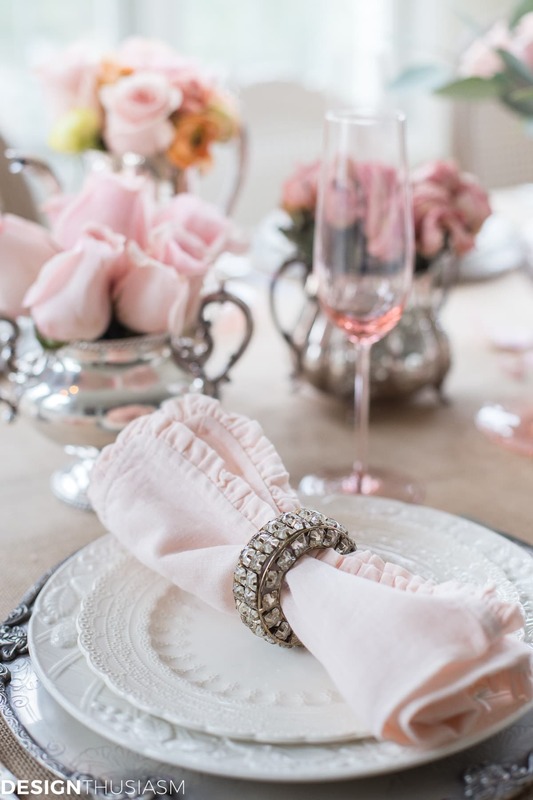 I used my absolute favorite napkin rings to punctuate the glam side of this tablescape and I truly wish I could find more of them. They’re originally from Pottery Barn but have long been discontinued. They occasionally show up on ebay, but I’ve yet to find a good replacement to add a link in for you below. To balance the abundant roses and satisfy my craving for varied florals, I used dried flowers from earlier table settings. 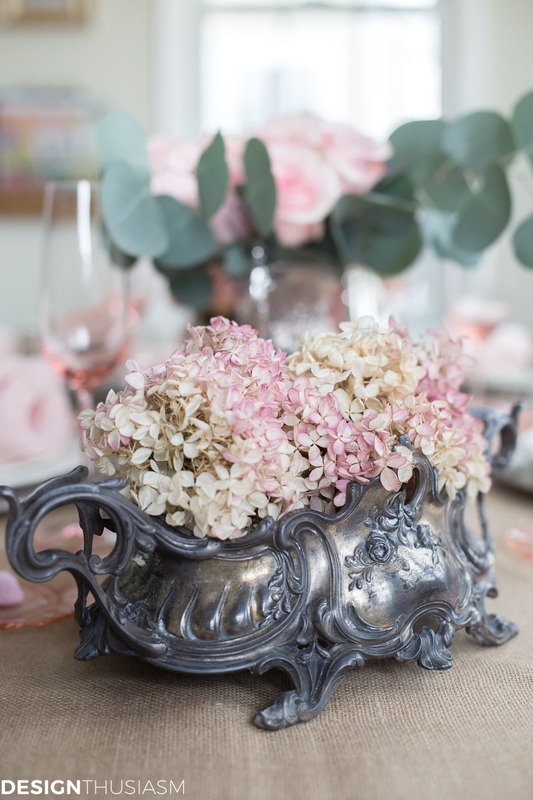 The pink hydrangeas dried beautifully and look lovely in the vintage jardiniere. 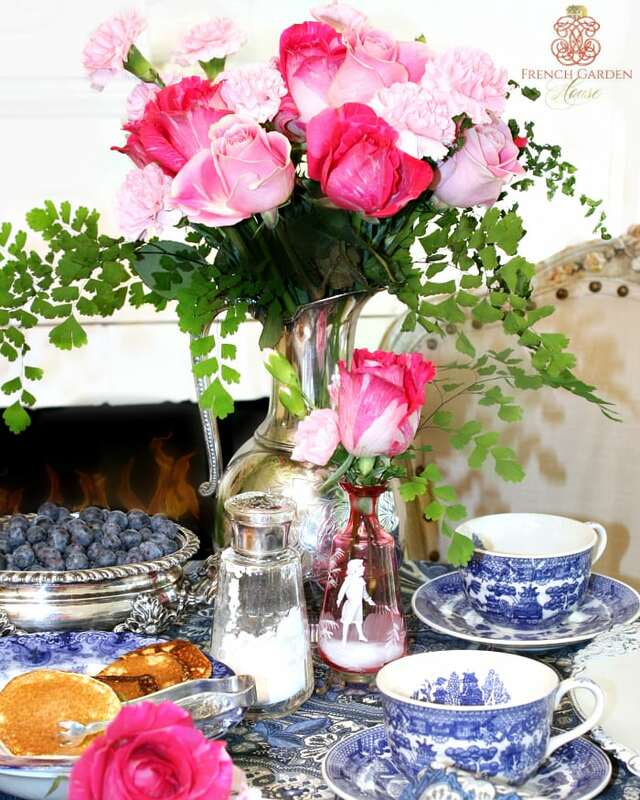 I also used dried mini roses, below, in a vintage repoussé silver sugar bowl. 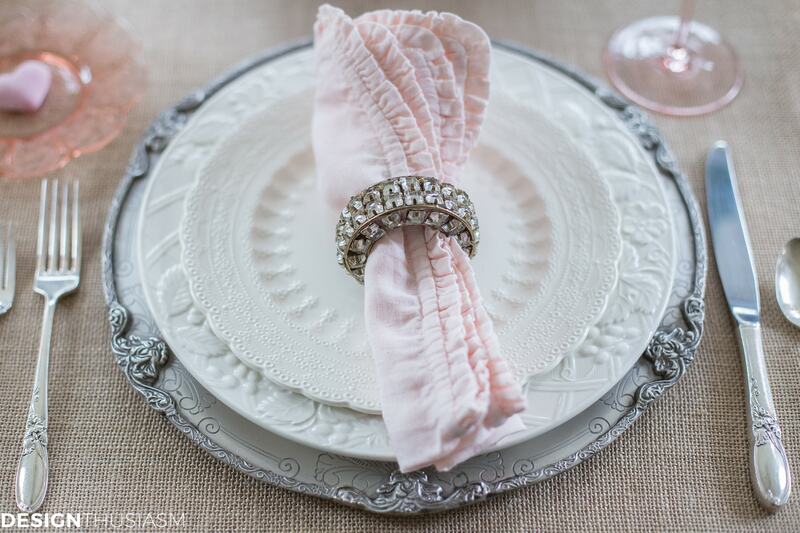 Depression glass saucers hold pretty pink candy hearts, while heirloom silver flatware completes the place settings. And what would romance be without candlelight? 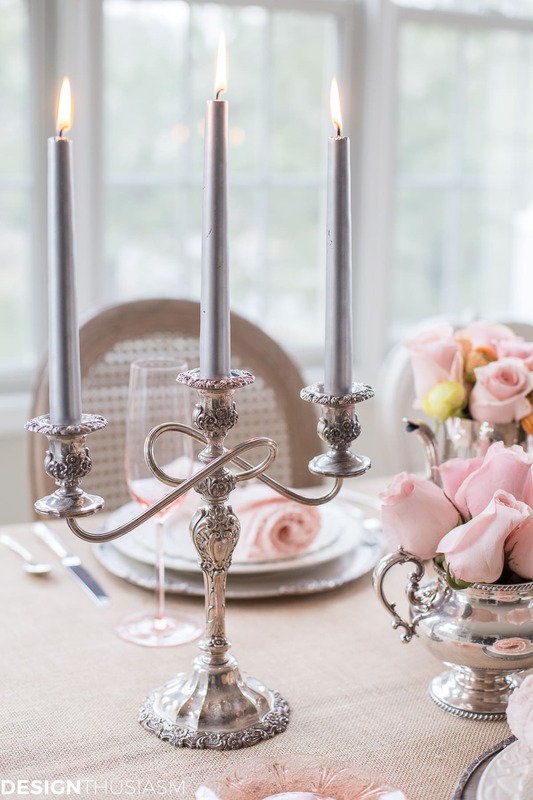 I recently picked up the silver candelabras at an antique market and they add the finishing touch to my table. Perhaps next year I’ll be back to glamour and red roses, but this year I’m in a gentle mood and enjoying my rustic romance vibe. Still, if you’re sending a limo for me, I might have to reconsider! Rustic Romance Source List – Click on the items below for direct links to the products. Where actual items were no longer available, I’ve provided similar options. 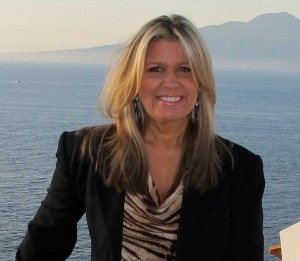 Please be sure to visit all of today’s tours and next up is my dear friend Sheila from Maison de Cinq. I absolutely love her style and I know you’ll love what she put together. You can find all the links below, as well. Lory, your table is gorgeous! I love the soft colors and textures! I’m so glad you’re inspired, Norma!! 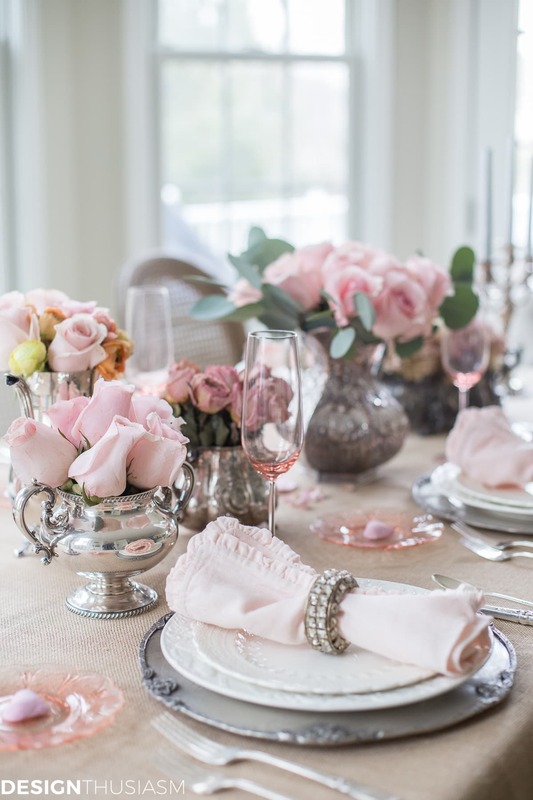 Your stunning table is pure pink perfection! Aww, thanks so much, Laura! Oh Lory, my casual chic heart is LOVING this gorgeous table! 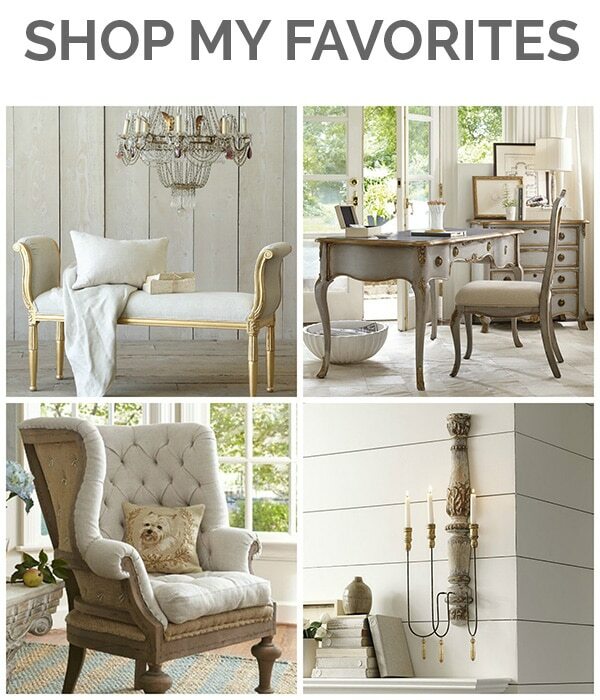 Such a perfect mix of rustic and elegant – and I’m a huge fan of burlap! 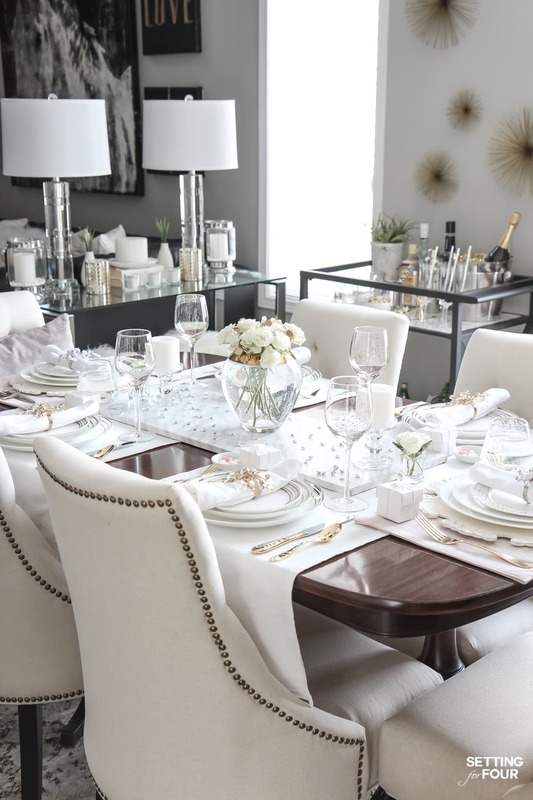 The plate stack is so pretty with white and silver, and as always, I’m spying those adorable napkin rings that need to come to my house:) Apparently, you and I both had the same colors in mind! Thank you again for hosting such a wonderful tour! You and the other ladies are so talented and I’m thrilled to be a part! Thank you, Sheila! Yes, I do think our creative heads were in the same place for sure this time… 🙂 I had fun with this! This is gorgeous, Lory! I love all the soft pinks! 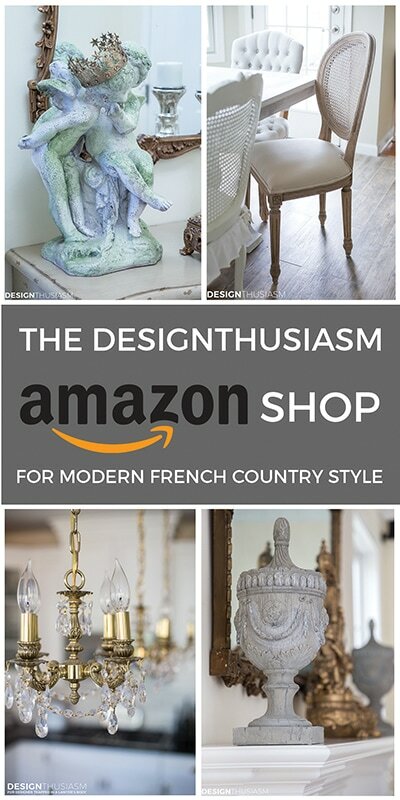 The pewter chargers and the centrepieces are my favorite. Well done my friend. Lory – this table is my FAVORITE of yours! We aimed to please each other this tour I guess!! The rustic elegance your setting exudes made me literally swoon… I absolutely LOVE it! Thank you for organizing this stunning tour. I can’t get over how gorgeous this is! 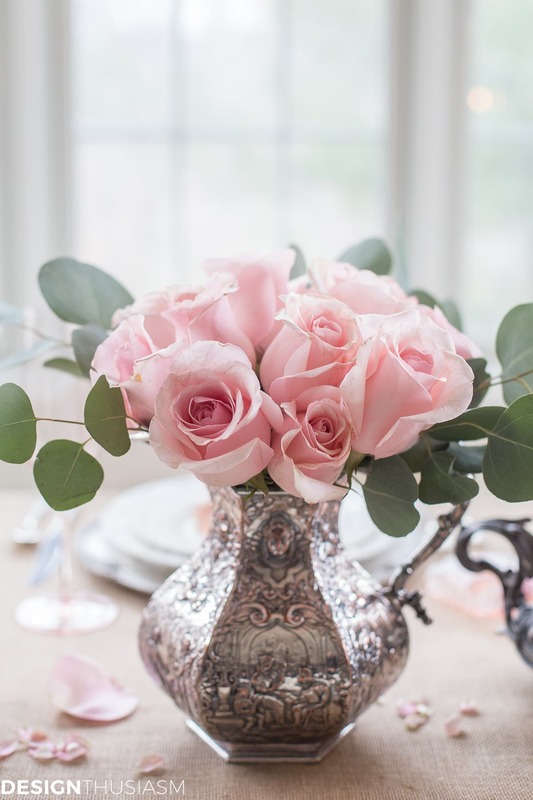 Love those soft pinks mixed with your pretty silver pieces. Thanks so much for sharing! Thank you so much for the kind words, Julie!! 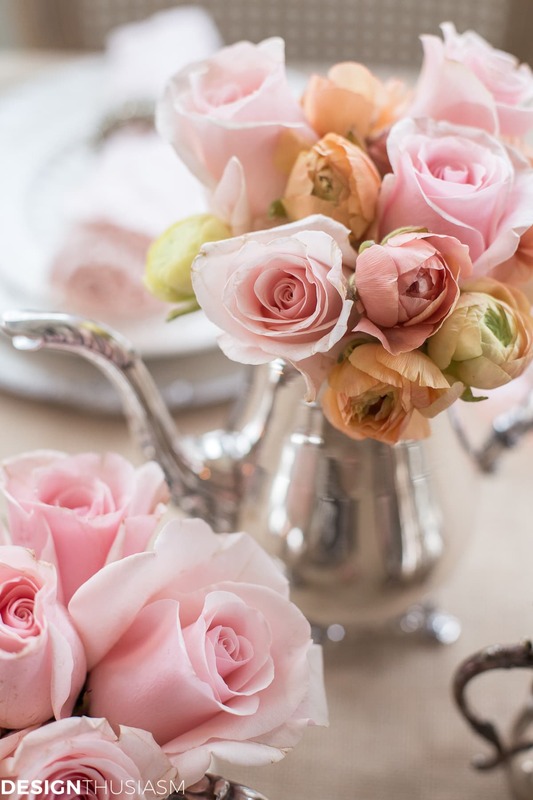 Lory this Valentines tablescape is gorgeous, the soft pinks, whites, silver, so beautiful and romantic…It’s perfect! 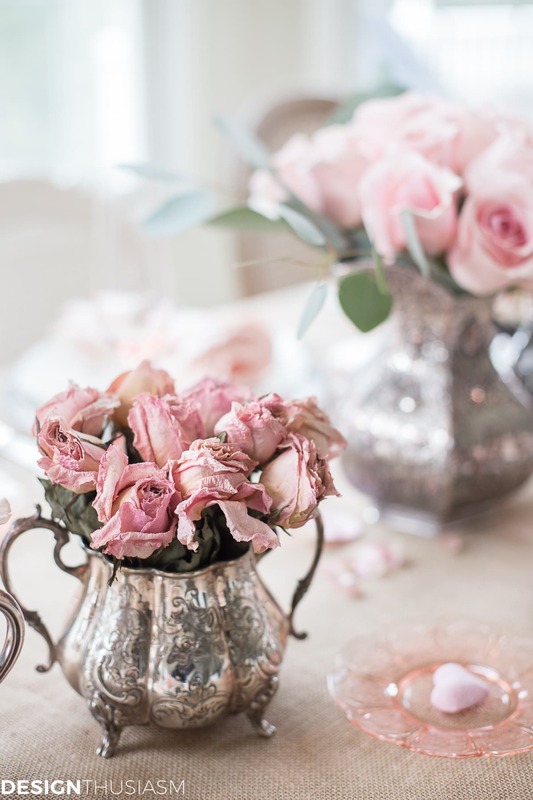 I especially love the flower centerpieces, the pink roses in the silver pitcher are my absolute favorite, I love that pitcher. 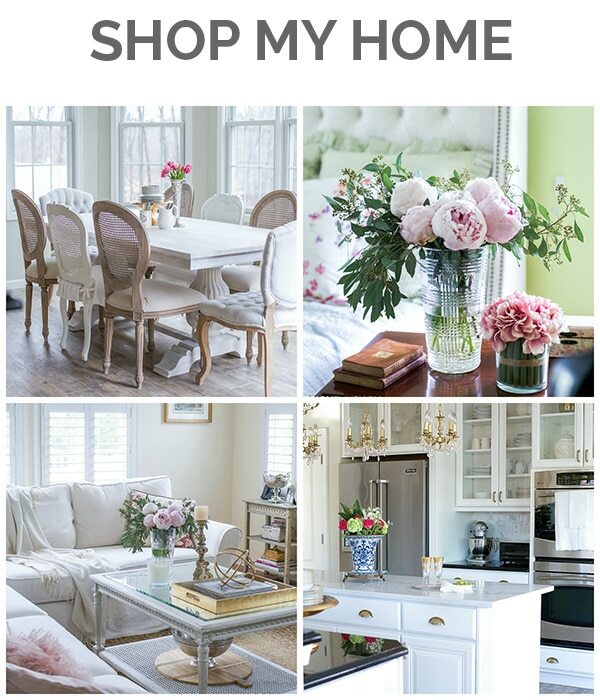 Truth be told I just love your sense of style and design…Thanks for sharing and inspiring! 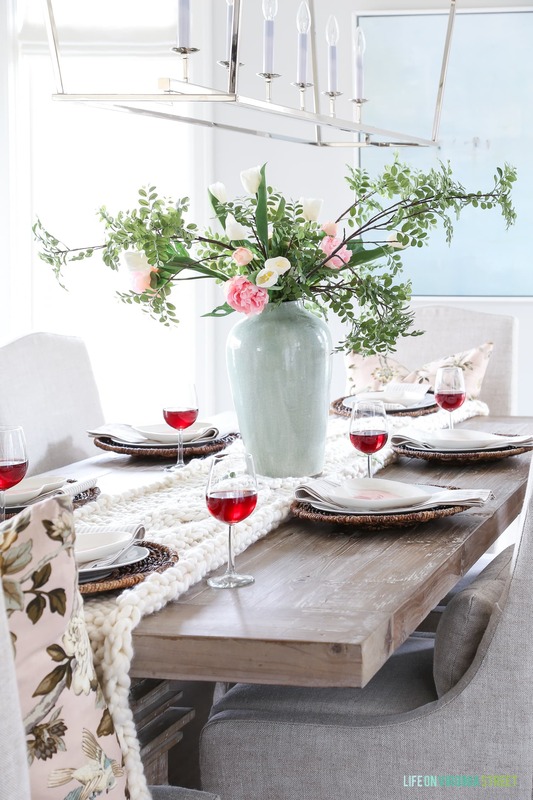 Wow, this table setting looks so lovely and adorable! I’m definitely going to take your ideas to surprise my fiancé. Thanks! This is so classy and sweet Lory! 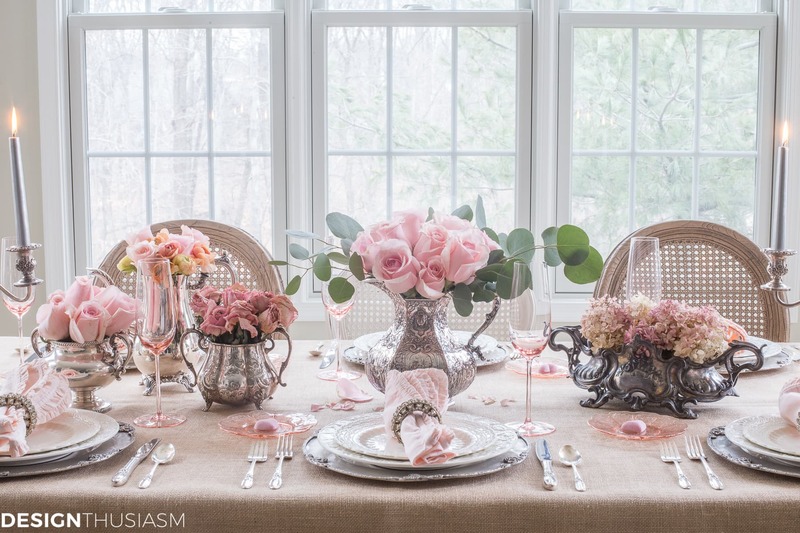 I love the soft pink and vintage touches! Thanks for hosting! 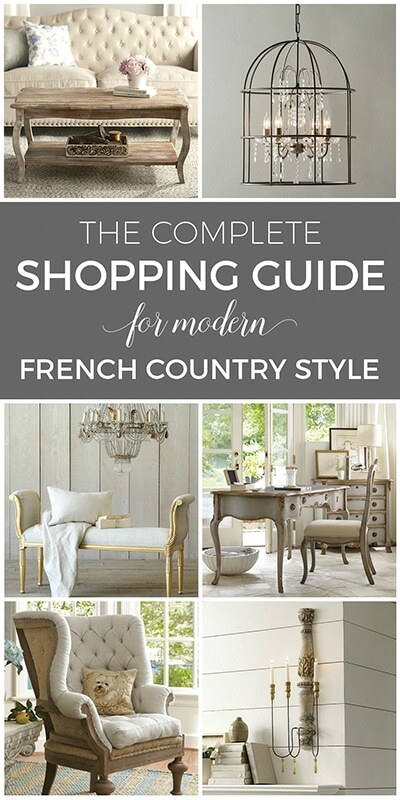 This is absolutely gorgeous and styled to perfection! What a beautiful and romantic setting. Thanks for linking up with our Friday Friends Parade! LOVE the pinks and ‘grays’! Followed you over here from the Friday Friends Parade Linky Party, though I follow you on IG, as well! Thanks for sharing… your table is lovely! Wow, your table decor is fantastic. I studied and enjoyed every photo. Your fresh flowers and dried flowers blend so well together. You have definitely inspired me to create my spring table! Thanks so much for playing our Friday Friends Parade Linky Party! I didn’t realize I could drool over decor, but I very nearly did. This is GORGEOUS. Pinned, shared, and planning to copy! Thanks for sharing at Merry Monday! Thank you so much!! You’re so kind, Megan! 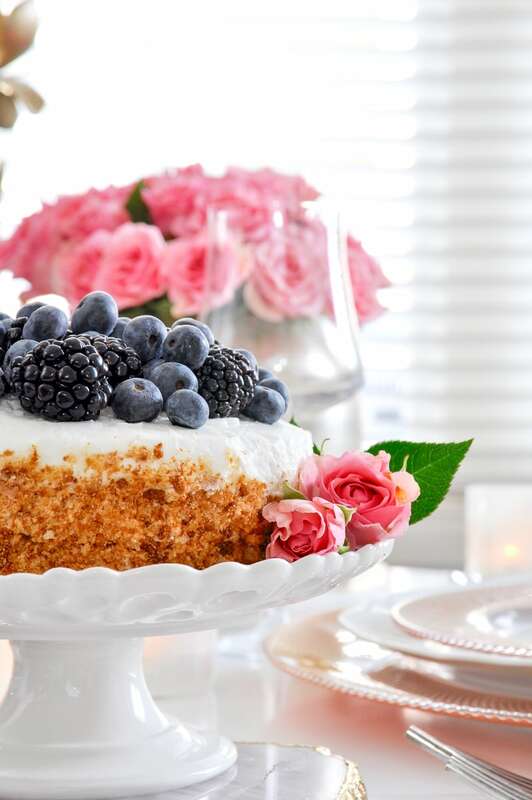 This is absolutely gorgeous…from the plates to the textures and the florals to the candelabra. My husband is rugged and rustic and I like very sweet and feminine things. I’m always searching for ways to combine the two. 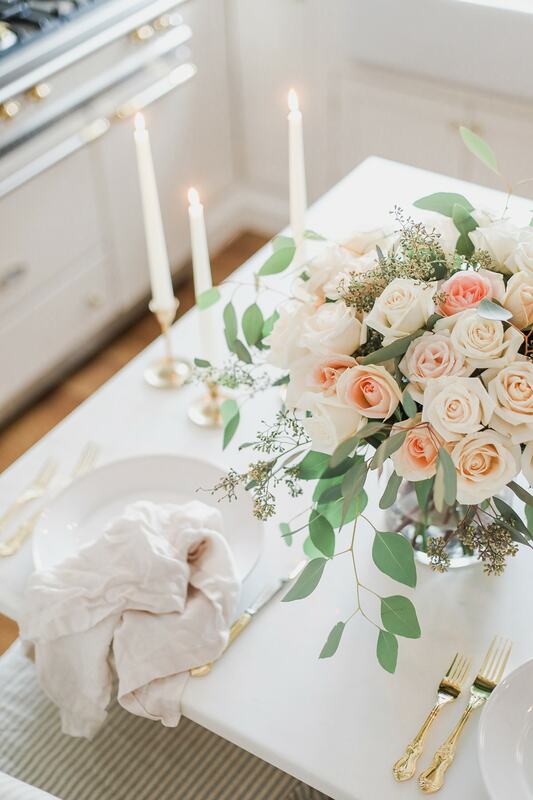 This is one of the prettiest tablescapes I have EVER seen. Wow, thank you so much for that lovely comment! !